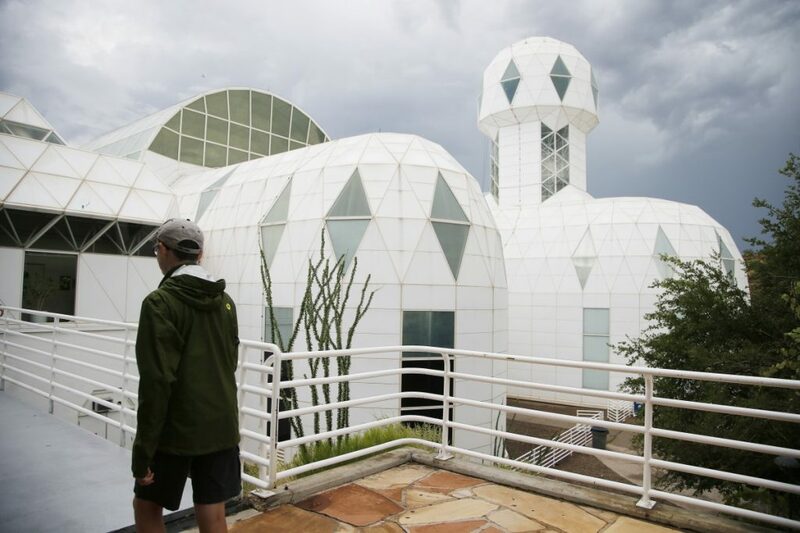  In this July 31, 2015 photo, a tourist walks to the main entrance of the Biosphere 2 facility while on a walking tour in Oracle, Ariz. University of Arizona officials say that 25 years after that New Age-style experiment in the Arizona desert, the glass-covered greenhouse thrives as a singular site for researchers from around the world studying everything from the effects of the ocean's acidification on coral to ways of ensuring food security. 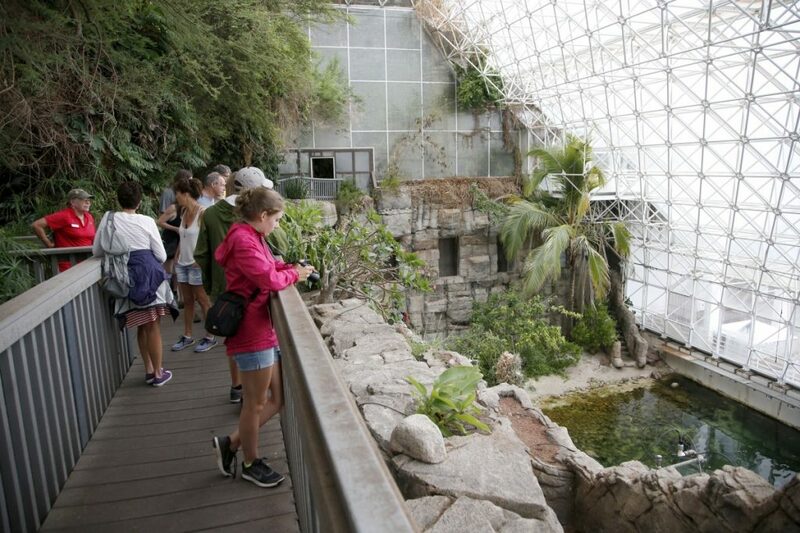 In this July 31, 2015 photo, tourists check out the Biosphere 2 Ocean, holding a million gallons of seawater, designed as an enclosed ecological system to research interactions within ecosystems, in Oracle, Ariz. University of Arizona officials say that 25 years after that New Age-style experiment in the Arizona desert, the glass-covered greenhouse thrives as a singular site for researchers from around the world studying everything from the effects of the ocean's acidification on coral to ways of ensuring food security. 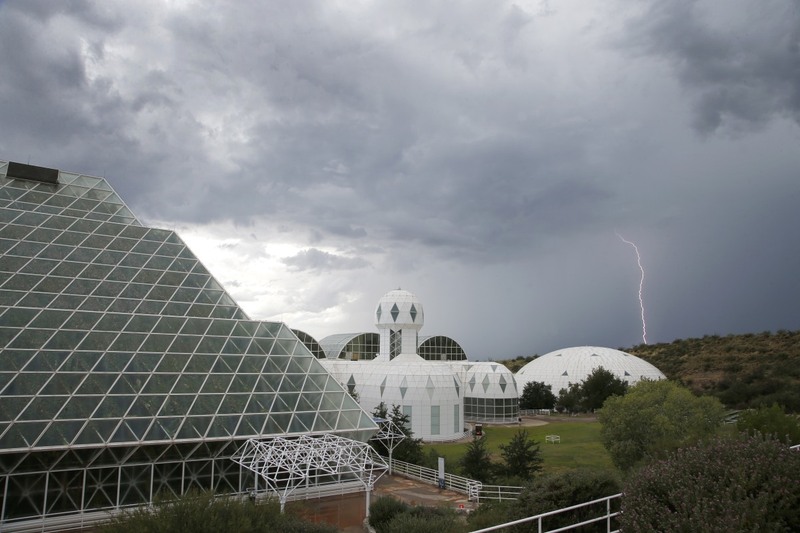 In this July 31, 2015 photo, several of the main buildings of the Biosphere 2 complex, including the tropical rainforest, left, the technosphere, middle, and the south lung, right, are shown as a thunderstorm moves past, in Oracle, Ariz. University of Arizona officials say that 25 years after that New Age-style experiment in the Arizona desert, the glass-covered greenhouse thrives as a singular site for researchers from around the world studying everything from the effects of the ocean's acidification on coral to ways of ensuring food security. 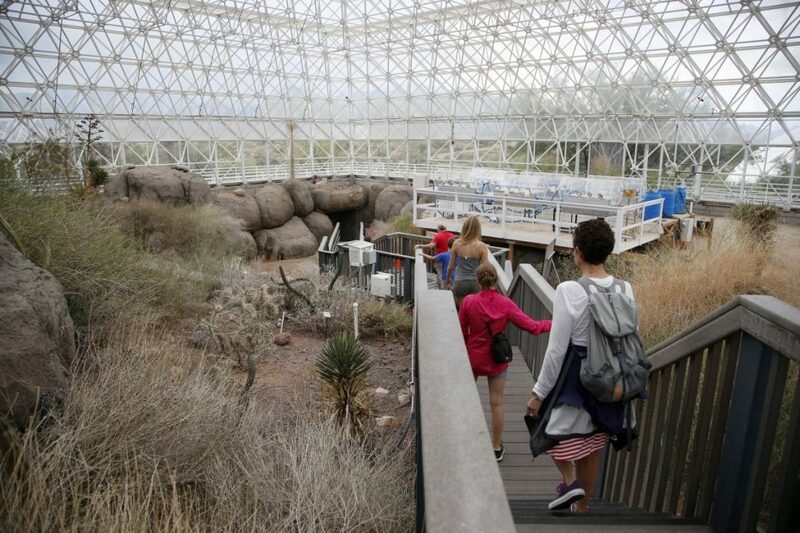 In this Friday, July 31, 2015, photo, tourists walk through the enclosed coastal fog desert ecosystem of the Biosphere 2 in Oracle, Ariz. Biosphere 2 lives on as a successful research site 25 years after eight people emerged from the New Age-style experiment in the Arizona desert.